EDB File 14.05.01 - Download Win Apps. Easy and efficient way to perform Exchange EDB recovery. EF recovery tool repairs permanently deleted items as well. Users can preview these files and choose to save accordingly. For Exchange 2000, 2003 and 2007 these files are displayed in RED color. 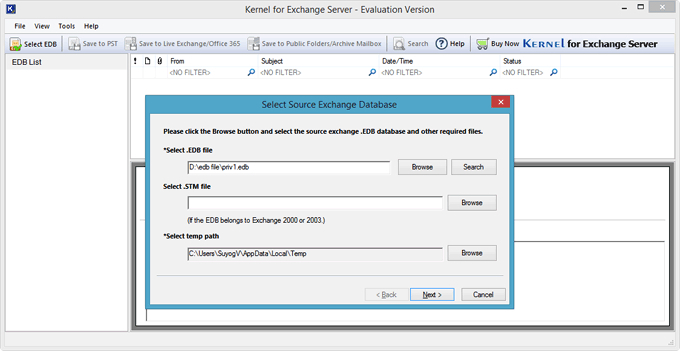 User requires no Exchange services when performing EDB to PST conversion.